Spinelli’s Deli, in partnership with Stonewall Columbus, will host the second annual Pride Art Show at Spinelli’s Deli in June and July. The show will feature pride and equality themed pieces by boudoir photographer Taryn Cook, artist Allen Dodson, painter/HIV awareness advocate Anthony Muncy, and multimedia artist Sharon Stevens. The Pride Art Show opening reception takes place on Thursday, June 7 from 6:00 to 8:00 p.m. with free food and beverages. DJ Max of BPM Productions will spin dance music. The exhibit, which is an official event of Columbus Pride, will be on display through the end of July. 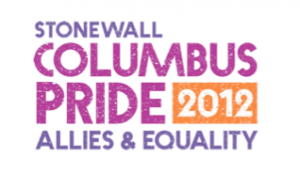 Presented by Stonewall Columbus, the 31st annual Columbus Pride celebration will be held on June 15 and 16 in Goodale Park. 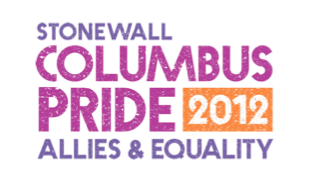 The Columbus Pride Parade begins at 12:00 p.m. on June 16 and will march through downtown and the Short North. 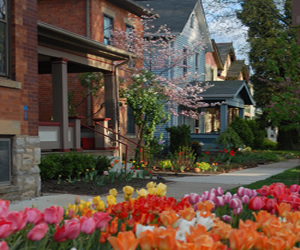 Spinelli’s Deli is located at 767 Neil Avenue in Victorian Village. It’s open Monday through Friday from 6:00 a.m. to 9:00 p.m. and on weekends from 7:00 a.m. to 9:00 p.m.
Stonewall Columbus serves the Central Ohio LGBT community by providing a community center and offering programming and services that enhance the wellbeing and visibility of our diverse community through discovery, affirmation, and celebration. Joe Spinelli and Bill Ward opened a Manhattan Bagel franchise at 767 Neil Avenue in 1997. Five years later, they transformed it into the independently owned and neighborhood-oriented Spinelli’s Deli. Its menu includes breakfast sandwiches, fresh-baked local pastries, muffins, bagels, locally roasted coffees, fresh-made salads and soups, dozens of hot and cold sandwiches, pastas, flatbread pizzas, seasonal dishes, and take-home dinners. Spinelli’s also operates a mobile food cart for hire and offers catering services. 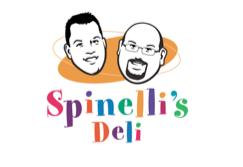 Visit spinellisdeli.com for extensive menu items.